Who's Who? NJIT's Atam Dhawan! Dr. Atam P. Dhawan, NJIT’s senior vice provost for research, received the Albert Nelson Marquis Lifetime Achievement Award from Marquis Who's Who, the nearly 120-year-old publisher of biographies, for his leadership in the fields of engineering and higher education. The award recognizes people who have “achieved greatness” in their industry, excelling for at least 20 years. As a researcher, Dhawan, a distinguished professor of electrical and computer engineering at NJIT and a pioneer in the field of point-of-care technologies in healthcare, focuses on optical imaging devices. His patent on low-angle transillumination technology for examination of skin lesions has led to the formation of two start-up companies with Veinlite and DermLite products that are now being used, respectively, for treating spider vein diseases and the examination of skin lesions for diagnosis of skin cancers, specifically, malignant melanoma. His research also includes a new method and instrumentation for in-situ measurements of concentrations of melanin, oxygenated hemoglobin, de-oxygenated hemoglobin and glucose in the blood through skin-tissue imaging. He is in the process of commercializing a wearable, painless glucose monitor. Dhawan was inducted into the National Academy of Inventors in 2015. In the health technology arena, Dhawan has worked assiduously to develop a community of stakeholders, including policymakers, entrepreneurs, clinicians, academics and insurers to discuss policy and practice around POC devices in order to speed the pace at which vital technologies reach doctors and patients. He is currently helping lead a federal initiative backed by the National Institutes of Health to map out strategies for better integrating POC technologies such as heart monitors, cancer-testing kits and rehabilitation devices into the healthcare delivery system. 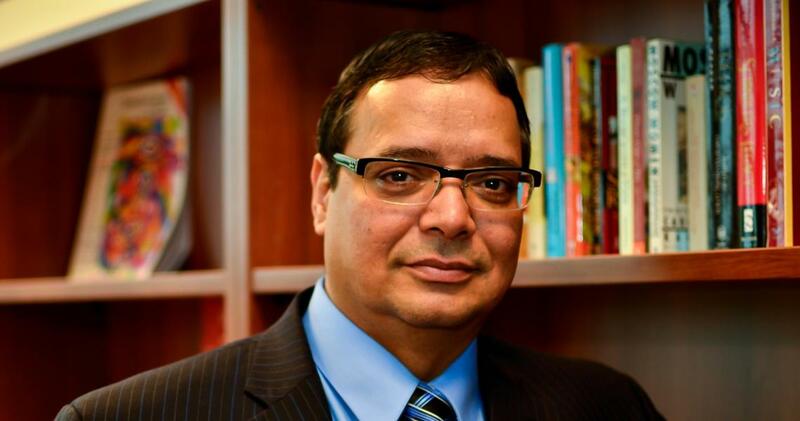 In his role as an administrator, Dhawan founded and directs NJIT’s Undergraduate Research and Innovation program, which provides guidance, as well as academic and corporate mentors to students conducting research and development on real-world topics such as smart information systems for social networking, biofuel energy and breakthrough methods to counteract the ravages of drug addiction. Dhawan is a Fellow of the Institute of Electrical and Electronics Engineering (IEEE), Fellow of the American Institute of Medical and Biological Engineering (AIMBE) and Fellow of the International Federation of Medical and Biological Engineering (IFMBE) for his contributions in medical imaging and image analysis and healthcare innovations. He is the founding co-editor-in-chief of the IEEE Journal of Translational Engineering in Health and Medicine. His five issued patents also include cyber-security and secured data-communication systems inventions.